On today’s VINwiki Car Story, Dave Black tells the story about how he and I met and the first car I sold him. Dave had been coming to Caffeine & Octane in his Maserati and I invited him to join us one of the Motorcars of Georgia Mountain Drives that I had organized. 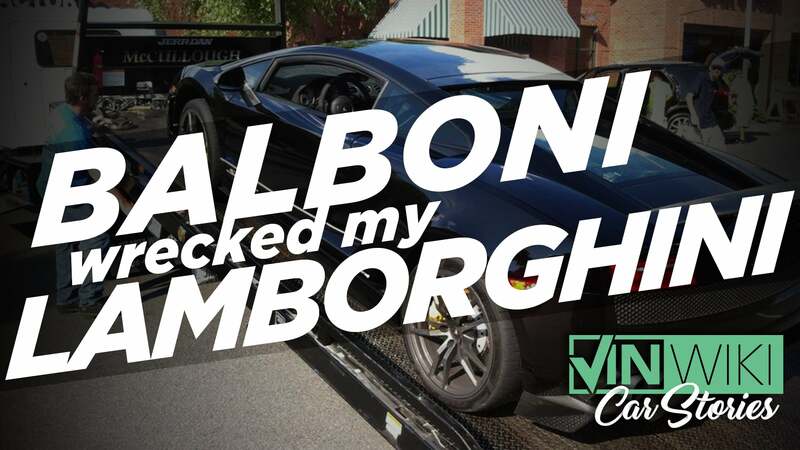 He quickly decided that he needed a Lamborghini. I found him an awesome deal on a press car that had been in an accident during its use showing customers what the cars could do. Dave even discusses participating in one of these events during out trip to the Esperienza event in Palm Beach. This is the car that brought us together and without it, the Cannonball Record would not have happened. It is certainly a car whose troubled past is something I am very grateful for. Enjoy.